The crew here at Team Ford are huge Edmonton Oilers fans. When we are off the clock (and sometimes when we’re on it) our minds are on the exploits of Captain Connor and the gang, win or lose. Since the last time we had a chance to share our thoughts on the NHL, a lot has happened. The playoffs wrapped up and Lord Stanley found its new home for the summer; the sportsbooks in Vegas breathed a collective sigh while the fans felt bitter disappointment, a disappointment we know all too well *shakes fist in the direction of Carolina*, and Alexander Ovechkin went on a bender that would make Charlie Sheen blush. There has also been a draft, and the ensuing free agency frenzy. Of course, since there hasn’t been any Oilers hockey, we will evaluate some of the off-season moves made by the team and around the league. Shut the front door, there’s a Draft! Although not a particularly strong draft class, the Oilers lucked out and got their man Evan Bouchard. Assistant GM Keith Gretzky will never have his on-ice performance mentioned in the same breath as his brother, but his scouting work was great this year and the Oilers had a strong draft. In addition to taking Bouchard in the 10th spot, they took the big, strong, and smart centre, Ryan McLeod, 40th overall. Projected to go in the first round earlier in the year, the Oilers might’ve caught a break picking him up when they did. The later rounds found the team drafting North America’s top-rated goalie prospect Olivier Rodrigue, big American defender Michael Kesselring, and a slick Finnish centre Patrik Siikanen. Of course, the big news in all of this is that we landed Bouchard. An offensive defenseman with a wicked first pass, not to mention an ability to quarterback the powerplay (things the Oilers have needed for some time), Bouchard led the OHL and all other draft eligible defenders in points — much like Drew Doughty in his draft year. The Oilers were actually looking to trade up to take Bouchard, but after Montreal went for position instead of skill, and Phoenix did, well, whatever Phoenix did, the Oilers were able to sit tight and take the player they wanted. It would’ve been a tense few picks for the Oilers draft table, but in the end all worked out. Let’s face it, Peter Chiarelli doesn’t have the greatest record when it comes to big free agency signings — or trades either, but maybe don’t get us started. A heavy contract that will be paying Milan Lucic a lot of money into his mid-thirties comes to mind, unless he should be traded—more on that later. P.C. didn’t have a lot of wiggle room though, heading into this free agency market, and made the most with a fairly limited budget. He added some decent depth on the blue-line, awarding a two-way contract to Kevin Gravel who should compete for the seventh spot, and more depth up front with the return of two former Oilers’ picks. Kyle Brodziak is back, and will hopefully shore up the penalty kill in addition to the fourth line; finally, the speedy Tobias Rieder will make his first appearance in an Oilers jersey, after being traded for another prospect before ever stepping skate onto the ice as an Oiler. A good friend of fellow German Leon Draisaitl, Rieder can move up down the lineup and will add more skill to our much-maligned penalty kill. That leaves around $7 million or so that will most likely be split between Ryan Strome and Darnell Nurse. Strome should receive a $3 million dollar qualifying offer, due to his last contract, and Nurse will most likely be offered a substantial bridge deal with a little more on the back-end. A few other roster moves of note: Laurent Brossoit and his tenuous tenure in Edmonton is out the door, and replaced by veteran KHL ‘tender Mikko Koskinen. And while we’ve plucked one player from the collusion-heavy KHL, we’ve lost two in the form of Anton Slepyshev and Yohann Auvitu. Of course there were more exciting signings on the first day of free agency, and Toronto was the big winner in the Tavares sweepstakes; this gives them some of the best depth down the middle in the league, and turns them into a serious cup contender (great, like we need to hear more about Toronto on sports talk shows). On the surface it almost looks like an overpay on the Leafs’ part, given that a player who won’t be in his prime much longer is making only a bit less than a the league’s greatest player who is still coming into his prime (*cough* McDavid *cough*), but the actual contract pays less than a million a season with substantial bonuses — including a $15+ million dollar signing bonus. Sure, we could laugh at teams like Calgary that overpaid wingers like James Neal, but we won’t stoop to that level. And while the the majority of signings occur right away, we may see Patrick Maroon in Oilers silks again, perhaps at a discounted rate since he liked playing here so much. A guy can dream, right? So now we play the waiting game until the next season starts up. With very little cap room to work with, and a couple of players to sign, it should be a fairly uneventful off-season. Of course, Chiarelli could make some sort of blockbuster deal, but if you believe him when he says he’s happy with the makeup of the time, it is unlikely. While pundits say that Lucic has asked for a trade, and there is something in the works, it is hard to believe that we could get a reasonable return — it’ll most likely be trading one dumpster fire of a contract for another. When asked about it, P.C. gave the classic, “No comment,” followed by Milan’s agent going on the radio the very next day to declare that Lucic is ready to play hockey next season (I’m pretty sure that is covered in P.R. 101). So will number 17 still be an Oiler? Only time will tell. We have a few other questions leading up to October 6th when Dr. Drai and Tobias “Funke” Rieder show their teammates around Germany, eating up all the currywurst. Questions like, can Kailer Yamamoto crack the roster this time around? Will Bouchard, who will certainly get his 9-game look, stick around with the big club? With all this talk of Bouchard, have we forgotten about Ethan Bear and his incredible run last season? Can Ty Rattie recapture the magic of his last call up?  As anticipation for the next season rises, the crew at Team Ford are forced to do our actual job and sell cars while we wait for the puck to drop. In the meantime, thanks for reading and stay tuned to the Team Ford blog for more Oilers news, as well as all things Ford related.